.......no matter where they are. Sterling Fitness Equipment is a family-owned business and manufacturer of hydraulic circuit training equipment, weight stacks, benches, and more. We are also a supplier of commercial fitness products, such as treadmills, bikes, and ellipticals, as well as strength training fitness equipment . 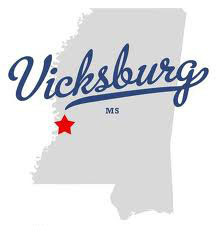 We've been in business since 1998 and our manufacturing shop is located in Vicksburg, Mississippi. We are proud to say our specialty is in Hydraulic Circuit Training Systems for men, women, and children. At STERLING Fitness, helping new business entreprenures, fitness advocates, health professionals, or health-conscious consumers, purchase affordable quality fitness equipment is more that just our business, it’s our passion. SERVICE is what sets us apart, and it doesn’t end with the sale - that’s just the beginning. STERLING - It’s more than just our name. It’s the quality way we do business. STERLING Fitness originated as Go Figure LLC in 1998 with an idea and a vision - to create a solid, dependable brand of fitness equipment. Fitness equipment that will not only inspire the users to do more, but to push themselves to go further - quality STERLING products. We are dedicated to continually providing effective exercise equipment to club owners, consumers, institutions, schools, collegiate facilities, or churches - who choose to promote a healthier lifestyle to others. STERLING Fitness is dedicated to whatever it takes to help our customers. We deliver reliable products to commercial and home fitness customers worldwide. Our global sales and distribution teams go beyond just bringing you great fitness equipment, we are determined to develop a true partnership to help you achieve your business or fitness goals.